I’ll be focusing on Aussie comic makers that make stories that I like to see, stories that actually speak about the world that I would like to see, rather than the stories that the mainstream shoves down our throats. First up is Ele Jenkins! 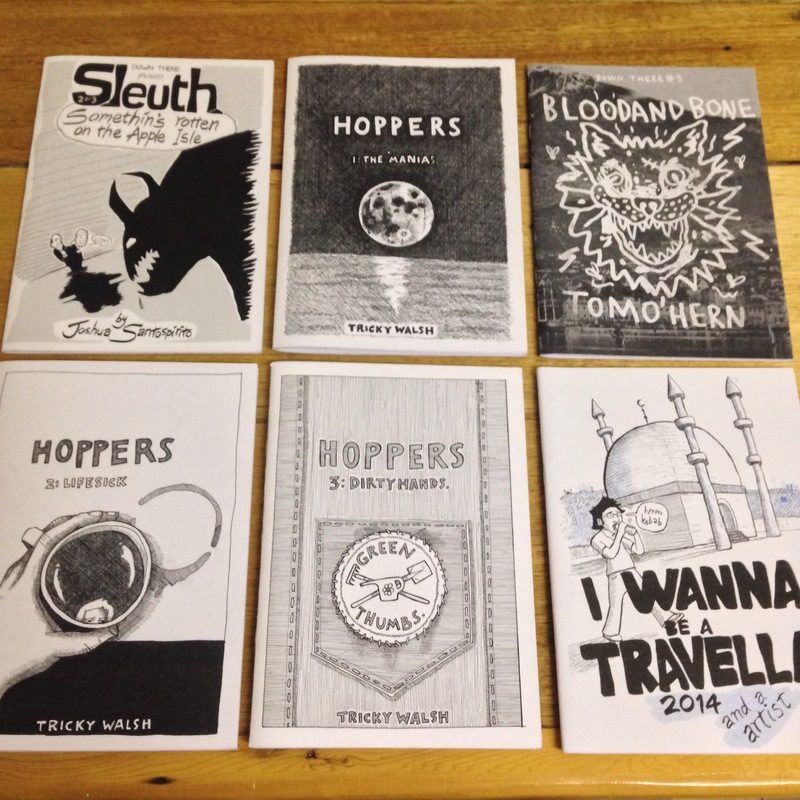 but I shall also speak about Sam Wallman, Mandy Ord and MORE – one each day! Here are some of the official pics from the performance at the Odeon in January of The Long Weekend in Alice Springs with Craig San Roque as part of MONA FOMA. All images by Rémi Chauvin for MONA. The newest issue of Down There is out – by ME! Very exciting that this little series of comics is continuing as we have now ticked over 200 pages of Tasmanian comic wonderful mess! – you can buy a copy at San Kessto Publications. I have received news that some of the future artists in this series have started working on their stories so look out for news in the next six months or so! Yay!